Do you know how to start an Education Blog? 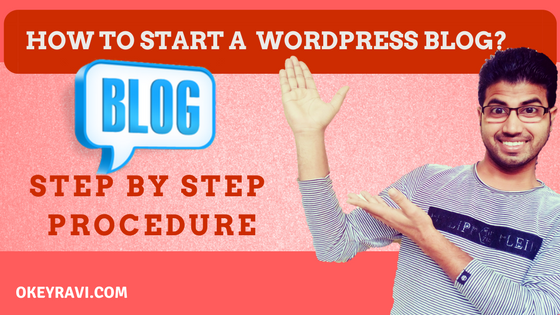 In the last article, I have talked about starting a Blog in WordPress Step By Step. Today we will learn all about starting an education Blog. Its consequences and moreover on how much money you can earn with how much efforts. The usage of the internet is increasing exponentially and advancements in technology are numerous. Be it shopping, reading books, watching movies, e-learning, live streaming matches, hearing about the latest news, video calling or even registering for JEE Main or WBJEE 2018 exams, the usage of the internet is very evident. In this tech-savvy world, everything one does is reflected online. The online world provides a huge open platform for expressing oneself. How to Start an Education Blog? Ever heard of a blog? A blog is typically a frequently updated journal, or perhaps you could term it as a personal diary. It’s a website which is usually updated on a regular basis by the owner. Years ago, blogging was limited to personal experiences; today bloggers can write about anything. A blog is written could be about various topics, ranging from personal experiences to poems that you’ve written to information that you would like to share, maybe opinions or debates, maybe technical ideas, fashion views, reviews about books, movies, Top Engineering Colleges in Delhi etc. There are bloggers who write describing every minute detail of their day whereas there are those who write about hobbies or just share their knowledge without revealing anything personal. Over a few months, you can earn your living as well out of blogging. Earlier blogging was limited as the technical knowledge was required to update blogs. Now with advancements and updates making blogging easier, even people with least technical knowledge take to blogging. As mentioned above it’s now easier than ever. Blogging is gaining popularity due to the fact any average person in the world gets to voice his thoughts. You don’t have to be a celebrity to be heard anymore, you can simply “blog”. So, you have passionate thoughts or experiences to share ready but where do you update it? How to get started with blogging? Just expressing yourself will not suffice, you also need to know where and how to do it. There are many platforms/ websites that you can post your blogs on but not all of them are free. The most popular software used these days is ‘WordPress’. It is convenient and very easy to use software powers almost 30% of the web! Many famous bloggers, news outlets, music sites, celebrities are using WordPress today. Read Now – How to start a Website/Blog On WordPress? WordPress is an open source website creation tool or software which will be available online for free and it’s written based on PHP and MySQL. It’s probably the easiest and most dominant blogging and website content management system (or CMS) in existence today. In simple words, it is basically web software that allows you to create your own blogs. It’s a user-friendly software which can be accessed and used with ease by everybody. It’s also 100% free! WordPress is an open source project; hence there are many people constantly working on the code developed for the WordPress software to improve it. WordPress is multilingual, it is available in more than 50 different languages. It also SEO- friendly. It includes everything you need to ensure that your content is optimized for search engines. Posting anything on the WordPress means that you own it and have the freedom to do whatever you want with it. Nobody can edit or delete it. It is also very easy to install WordPress. WordPress contains a variety of easy-to-use features with which you can make your blog colorful and interactive. Let’s now proceed to learn to create a blog. You don’t have to be an experienced writer to start a blog; a basic knowledge and good hold of a language that you are comfortable with are enough. Blogging is simply a route for you to connect with the desired audience. Starting a blog is a very simple process that can be done in less than 30 minutes. For most blogs we use WordPress.org. One of the major reasons why WordPress is free is because it’s open source and also you have to do the setup by yourself. You will need- A domain name; like for example, beginners.com. Domain name is basically your page’s address on the internet. Second, you need web hosting, i.e., where your website stays on the internet. Now for this, you may have to spend a little. Once you have successfully created your domain name and its ready to be hosted, go ahead and install WordPress. Read Now – How to get domain Name for free and best Hosting Providers. After installing WordPress, the next step is to choose a WordPress theme. This can be customized, and you can choose what you want your webpage to look like, there are 1000’s of themes to choose from, most of them free. You can change your theme whenever you want to suit your needs. You are now ready to write your blog! Fill the page with all your thoughts, give them a nice look and publish them. You will majorly use ‘posts’ for the majority of your blogs; pages can also be used. There are a variety of tags you can use, and you can set the privacy of your page. You can later move on to add plugins etc. Although there are many blogging platforms, WordPress is by far the best one. As mentioned earlier, there are several kinds of blogs that you can write. An education blog or edublog is a blog whose main intention is education. This is also a broad branch with topics ranging from lessons meant for homeschooling to any news about educational institutes. The same steps apply for this kind of blog as well, the only difference being that your content will be educationally based.it is important to identify a target audience and build traffic to your blog. Ads, sponsorships, and donations are a few ways with which you can monetize your webpage. Come up with an impeccable idea to write a blog. Gather new topic where most people like to read about. Understand the entire topic which comes from the selected topic to write the blog. Start collecting leads where it helps you to promote your upcoming blogs. Be creative and start to implement pop up or info graphs to make the blog more reader-friendly. Be up to date and consistently add fresh/updated content to your blog. Spread the knowledge and don’t be shy to show what you know. Invest in blogging so that you can expect something in return. Add catchy headlines, doesn’t matter how awesome your content is but amazing headline plays a major role in blogging. Blogging helps you to start your own business, being an author, establishing yourself as an expert in your field, builds a network, stay knowledgeable in your field of expertise and more. So, Mostly It is your Contents which bifurcate in your Blog. 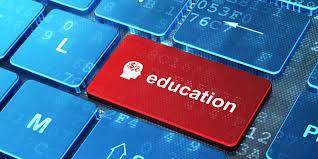 An Education website mostly has educational elements. If you are thinking to start an education blog then You must be well in education as well. You must know the rules and tactics by which visitor will run toward you. You know there is an ultimate number of education blogs available. They are providing different courses online, some are free and most are paid. this way you can grab extra income rather than be using only an ad network like Google Adsense. If You have any Query Comment Below. Thanks for Reading. ← PBN Backlinks – Are PBN Safe | How to Build PBN?